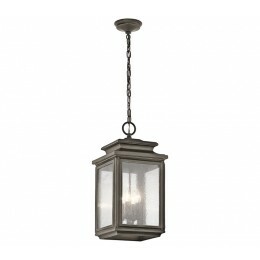 There is a taste of industrial flair in this traditional 4 light outdoor pendant from the Wiscombe Park collection. 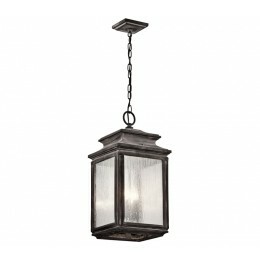 With details reminiscent of old world lanterns the Olde Bronze finish is perfectly complimented by the clear seedy glass. 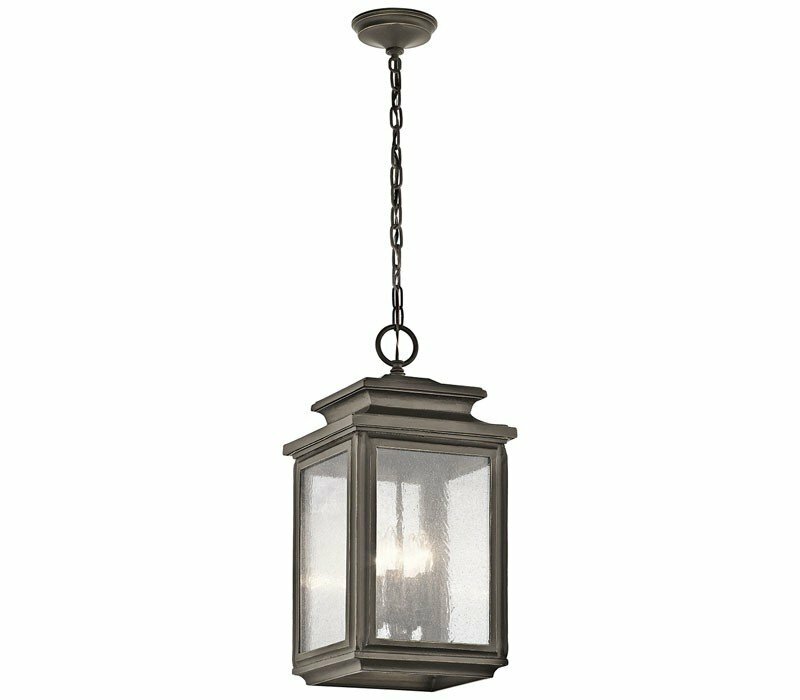 The Kichler 49505OZ Wiscombe Park collection Outdoor Pendant Lighting in Olde Bronze uses Incandescent light output and brings Antique style. This item is 23"H x 11"W. The total wattage is 240 and the voltage is 120 volts. 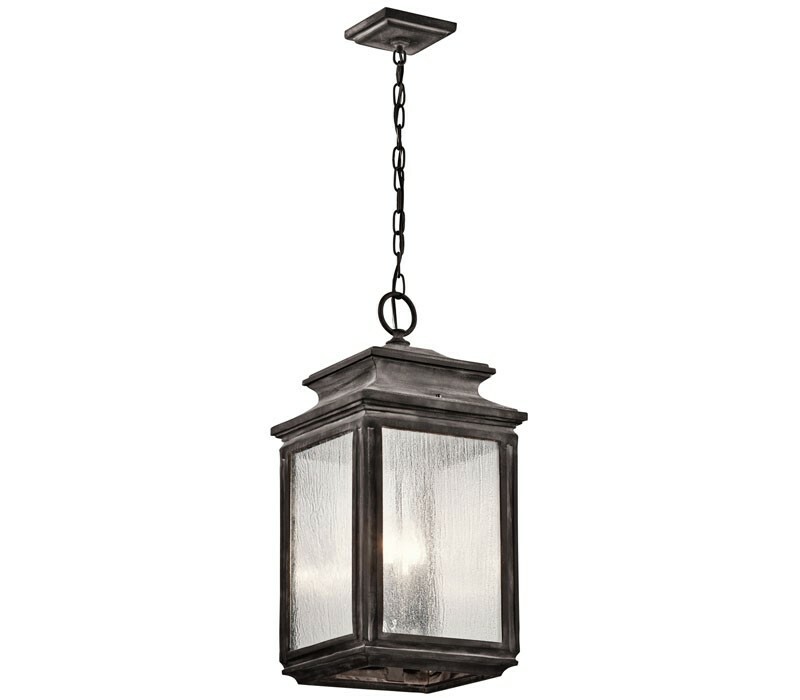 The Kichler Lighting 49505OZ requires 4 bulbs (not included). Additional Information: Shade-Clear Seedy Glass.